Hair and fingernails grow after death. Fact or Fiction? Having never studied Goldfish behaviour, monitored corpses or tracked lightening strikes I’m quite happy to believe that these things are true. But then again, what if I knew more, would the facts change my perceptions? Or do I have to see it with my own eyes to know it is true? As it turns out, Goldfish have pretty decent memories, Lightning strikes the Empire State Building over 100 times in a year, and skin and hair can’t grow after death, even though they may appear to. Car use is better for business than bike use. Retailers often overestimate how many people drive to their stores, after all you can’t tell just by looking at someone whether they drove or not. And who do those cars in the car park belong to? your customers (or someone else’s), or you and your staff? A study from Wellington showed that only 6% of shoppers on Tory Street were using the car parks along that street. Beetham 2014. An Auckland survey looking at K-Road transport habits found that, although retailers thought 41% of their customers would arrive by private vehicle, only 17% did. Retailers often overestimate the contribution of car parks to their business. An Australian study found that switching one car park to six bike parking spaces could create an increase in retail spend related to that space, from $27 per hour to $97.20 per hour. Retailers spend a lot of time and effort trying to get customers in their door – often referred to as foot traffic. For smaller operators, who don’t have huge marketing budgets, foot traffic is hugely important. Think about it: window displays, pavement sign boards, posters or blackboards with your latest special offer, your gorgeous sign work. Who sees them – I mean who really sees them? Do the people in cars rushing past or focused on trying to find a parking spot see them? Are they blocked from view by parked cars? People who bike are walk are moving slower. They are foot traffic so they see your display, read your sign and get your message. And it’s easier for them to safely stop and pop into your shop…. and once they are in the door your chances of making a sale are greatly improved. 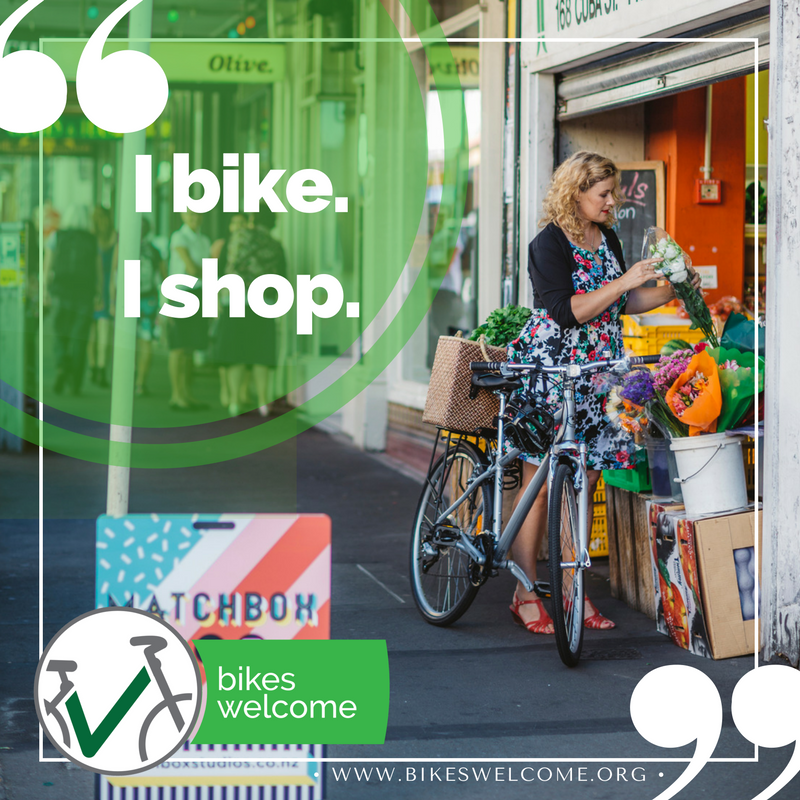 The results from overseas are conclusive: bringing more bike users to an area increases retail sales. Visitor sales are an important way to boost business. Think about the boost in sales tourists bring in: cruise ships, tour buses….. cycle trails! Cycling is a popular recreational activity. Many weekend riders will focus their choice of route on their favourite coffee and lunch stops, and the best places will have many a bike and hungry cyclist out front. Good cycling infrastructure attracts people to visit. Reports from Hastings indicate that visitors are being attracted to the area because of its cycling opportunities and many local businesses are reporting significant growth. More bike-friendly towns and cities would also encourage visitors from the New Zealand Cycle Trail, who spend money in local communities. In 2015 the Otago Central Rail Trail contributed an estimated $5.2 million and 100 jobs to the local economy. As well as the boost from attracting visitors, every business needs its ‘bread and butter’ customers. Those loyal, regular and repeat customers who you can rely on week in and week out. 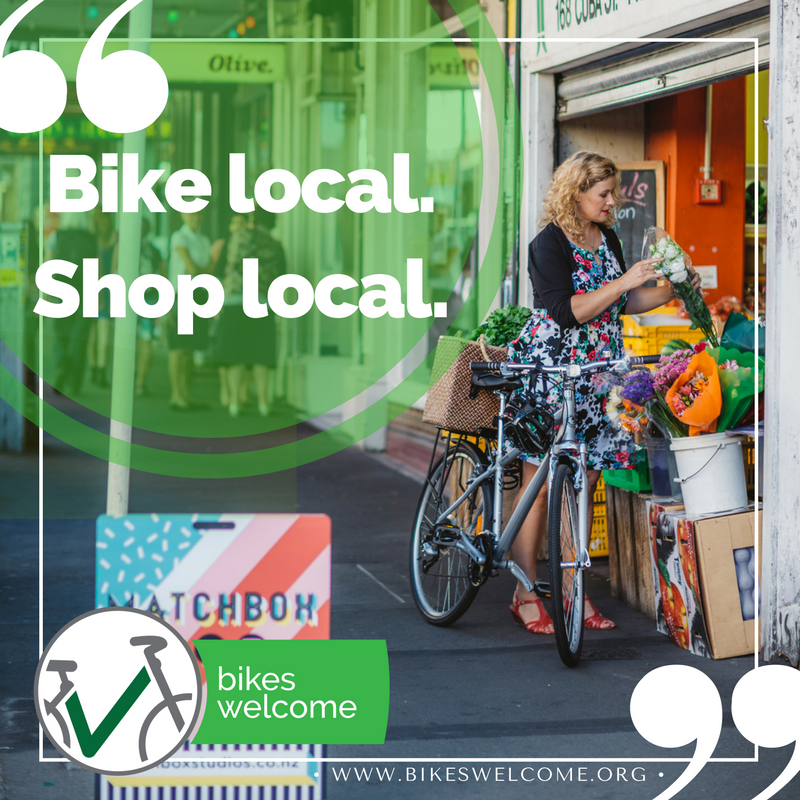 Bike users favour local shops and shop more often. “High streets have got a really important place in the heart of the community and there’s always going to be a place for bricks-and-mortar retail.” Greg Harford, NZ Retail. After housing and food, transport is the biggest household expense, and most of that is spent on private cars. Cycling saves people money to spend in their local communities. 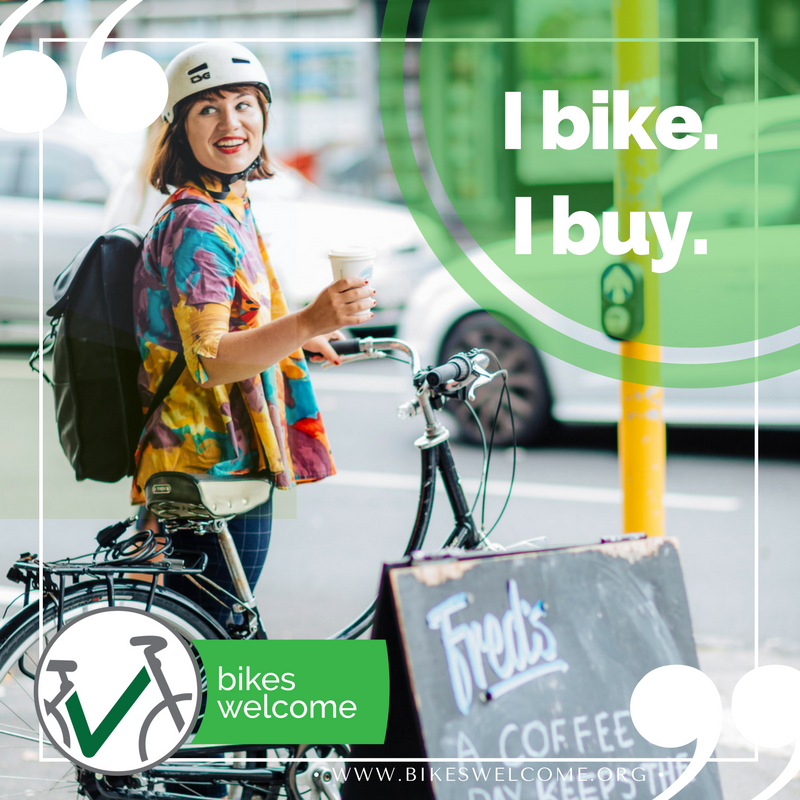 With no fuel, registration, warrant of fitness and parking costs, and much lower purchasing, maintenance and insurance costs compared to operating a car, people who cycle have more money to spend on other things. The European Cyclists’ Federation (EFC) report – “Jobs and Job Creation In the European Cycling Sector” – is just the latest in a spate of reports claiming cycling has the potential to contribute billions of euros to the European economy. Moving premises? Cut costs by reducing your expenditure on car-parking and ensuring your new premises has great bike parking, good pedestrian access and is close to public transport routes.